With an exquisite collection of villas, townhomes, and single-family homes nestled around a magnificent lake, AquaBella offers double the amenities of a world-class resorts. Two waterfront clubhouses are available for homeowner enjoyment, each featuring its own state of the art fitness center, pool, kids, plash park, covered terrace and social room. Each clubhouse reflects its own distinctive character: one is smaller, more intimate, and laid-back, while the other is built on a grand scale. The impressive Grand Clubhouse offers a designer-decorated lobby as well as a spacious Lounge/Meeting room, equipped with a bar area and kitchen. The second clubhouse also includes an exercise room and a social room perfect for either entertaining, family occasions or meetings. With two pools, a kids’ water park, outdoor grilling stations, inviting sundeck areas, and beautiful tree-lined sidewalks, life in this master-planned community is one of delightful choices and ongoing enjoyment. 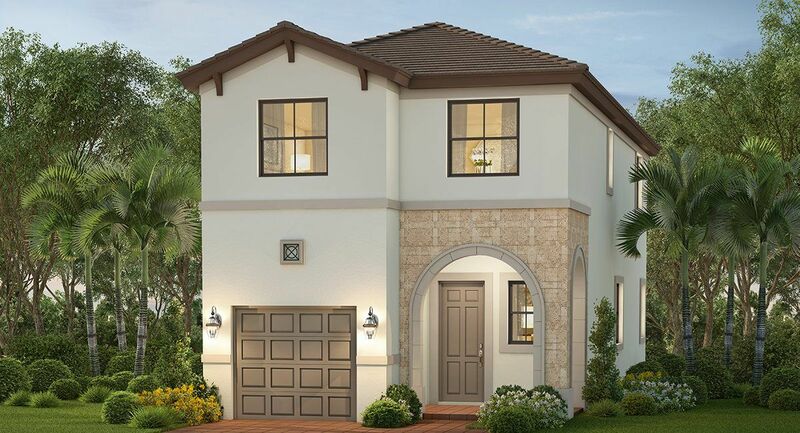 Its ideal location near Miami Lakes, with excellent schools, shopping, and restaurants, as well as ease of commuting, make AquaBella the perfect choice for families and young professionals alike.